The paper discovery is universally attributed to Ts'ai Lun, a Chinese minister, in 105 A.C. The legend narrates that Ts'ai Lun noticed the fibers detached by the action of rubbing and beating of worn-out cloths by a laundress. Such fibers, floating, went to reunite themselves in a veil of fibers that Ts'ai Lun observed. He picked up it with delicacy and layings it on the grass to let it dry. 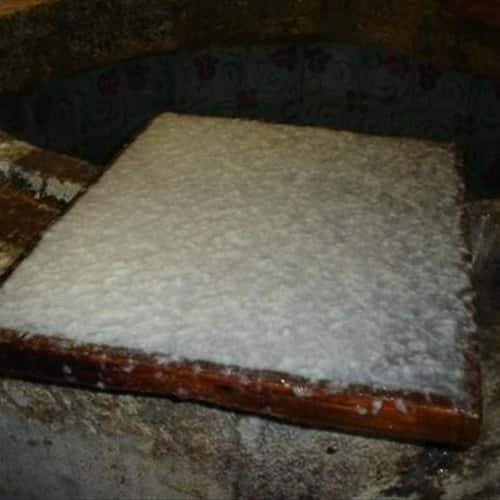 When the fibers were dried Ts'ai Lun noticed that the formed sheet had a certain consistence, it was white and soft. This gave him a great idea, that sheet could receive the writing. The improvement of this art was performed through the whole world, beginning from the place of origin, very quickly. In Japan the paper arrived in the sixth century A.C. In west it came first in Arabia and subsequently it leaned out to the Mediterranean. The new art was successful in short time and replaced the manufacture of the papyrus. 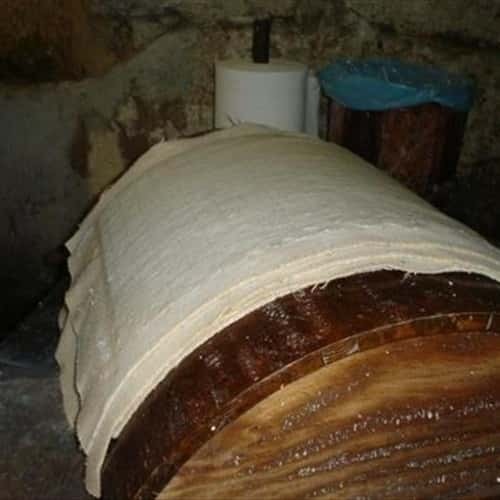 Also the materials used for the production of the paper suffered an improvement. The mulberry was replaced by the bamboo with opportune treatments. Then the flax, the hemp and the rags were used. Since it was a merely handicraft procedure every paper-maker had his/her own secret recipe. It is, however, to the Italian populations the worth to have completed the first footsteps toward a more industrialized production. A lot of purely manual operations were mechanized, even though by using the known rudimentary tools, to get an advantage about production and costs. The territories of the Maritime Republics (Amalfi, Pisa, Genoa and Venice) are among the first ones in which, in the XIIth and XIIIth century A.C., the existence of the paper has been discovered. These Republics, thanks to the intense commercial relationships undertaken with the east, had the possibility to learn the art to manufacture the paper without too difficulties. Between them Amalfi seems to be the first town that introduced such type of workmanship. 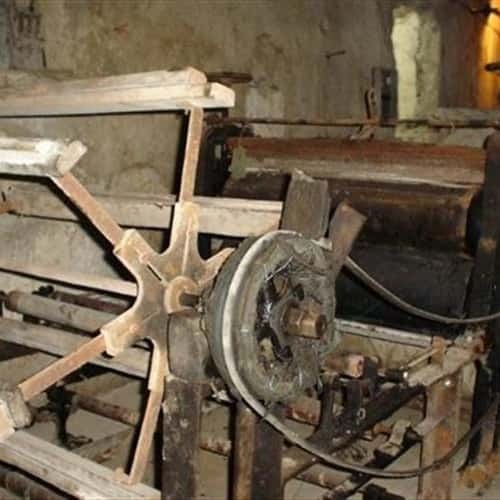 In Amalfi a real paper industry was born and was developed in no time thanks to the innumerable paper mills that have contributed to make famous this town all over the world for its appreciated paper production. The most greater part of the paper mills were installed along "Valle dei Mulini" (Valley of the Mills, ndt). 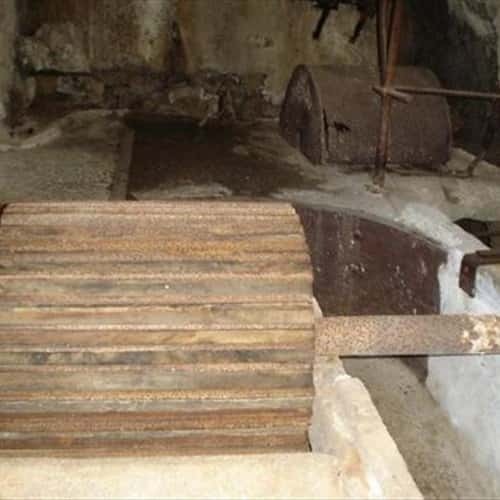 In 1700s, thanks to the formation of the inventory registry, we know that 11 paper mills were in activity in the center of Amalfi by using the ability of 83 batteries (tub of stone where the rags were crushed for making paper of it). Some of them were big complexes, with "spandituri" (room with ample windows and numerous fissures, used to desiccate the paper placed on longitudinal rows); others were contrarily of modest dimensions. 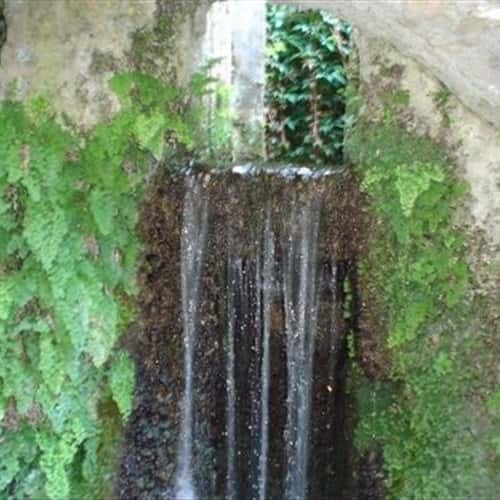 The rags were picked in the roads of Amalfi and the neighboring zones. Part of rub also came from out of the region. The paper mills, however, because of their location were subject to floods, that brought the water to be accompanied by deposits, and to the drought that brought scarce quantity of water "to beat all the batteries" and it made therefore necessary a turn establishment. The complex and serious historical - political - social vicissitudes and mainly the industrialization gave a strong hit to the paper production, even to the other small amalfi industries, that could not follow the time. 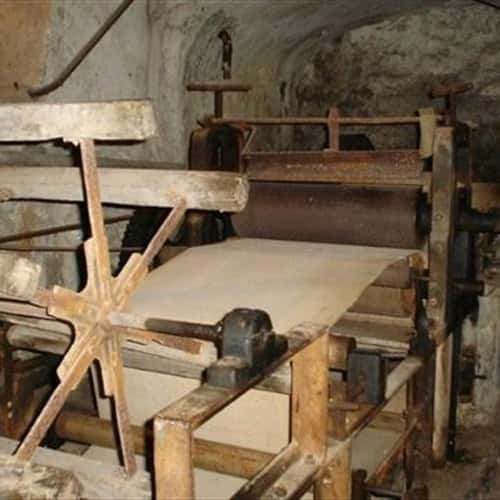 The amalfi paper-makers, opposing spirit of sacrifice and tenacity, continued the production in virtue of the tradition. Generation in generation, from father in child, always preserving that inherent initiative in their character. The last and awful hit to the crash of the paper industry was the catastrophic flood of November 1954. It destroyed the most greater part of the paper mills. Of the sixteen mills in activity at the catastrophe epoch, three only of them remained. 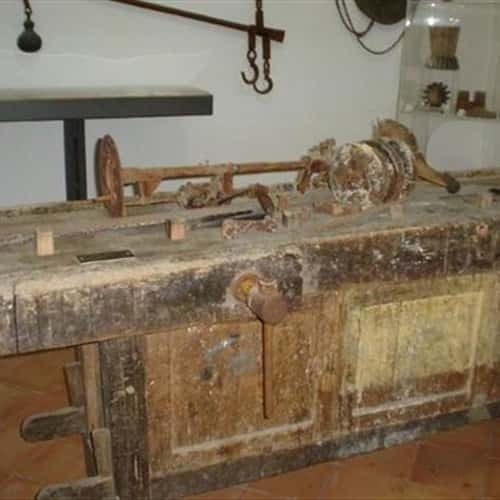 In 1759 a notary act reports a detailed description of an Amalfi paper mill in that era, it consisted of various rooms each with a precise phase of the work: the room of the "pile", a large stone beater, that of the "tino"( a large vat) , the "stracciaturo" , the boiler, the workshop, the "asciugaturo" and the "spannituro" (the drying room). The basic materials were cotton, linen and hemp, these were gathered in special stone sinks called "pile". 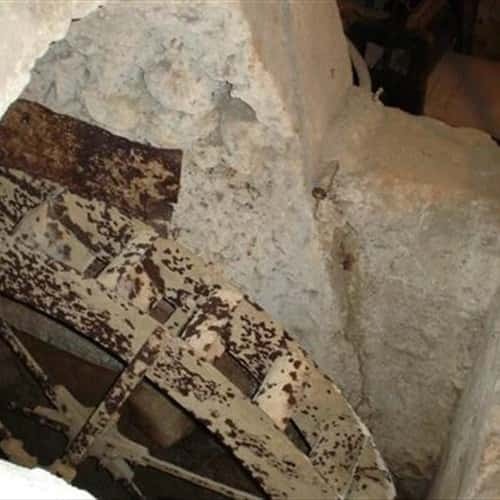 The sink was filled with water and the rags reduced to pulp by a series of wooden mallets with iron tips, produced by the Iron-works or in the forges of Pogerola. 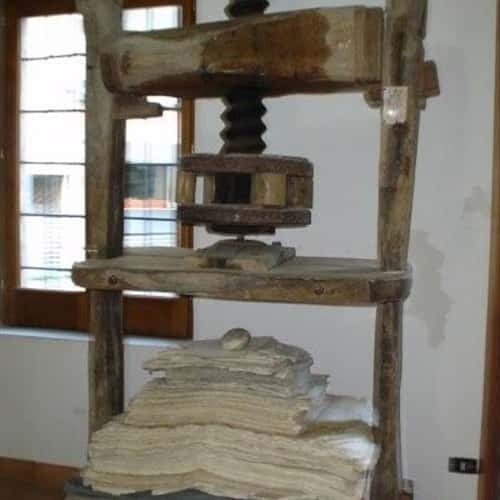 The time taken to beat the mixture and the shape and size of the tips of the mallets determined the consistence of the pulp and the weight and thickness of the sheets of paper. The mallets functioned using the force of water falling from the big wheel that in counter weight transferred the movement to a shaft of transmission called "fuso" that in turn moved the mallets. 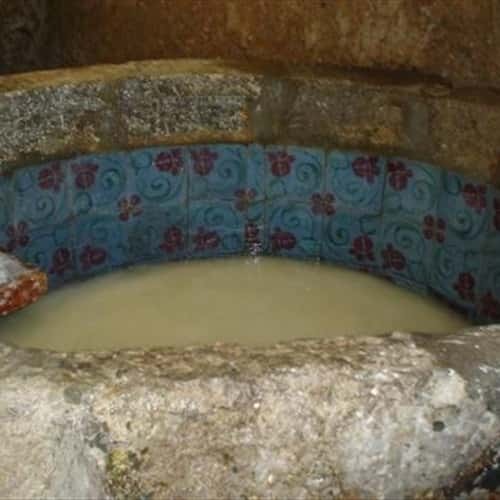 In a second phase the pulp was passed on into a large vat in brick, lined with majolica where it was mixed with substances that bleached the mixture, and an animal glue was added that was produced in the boiler room. The workers with bare hands lowered into the vat a grill of bronze or brass wires bordered with wood, a " cassio", that became covered with a layer of pulp when extracted (the water passed through the grill). All the different formats had a water mark in the centre, the producers trade mark that was only visible against the light, and was used to represent not only the paper manufacturer but also the type of paper produced. Today we can still see examples of these old water-marks in the Museum, the motif most used was the shield of Amalfi and also those of the Noble houses of Amalfi. 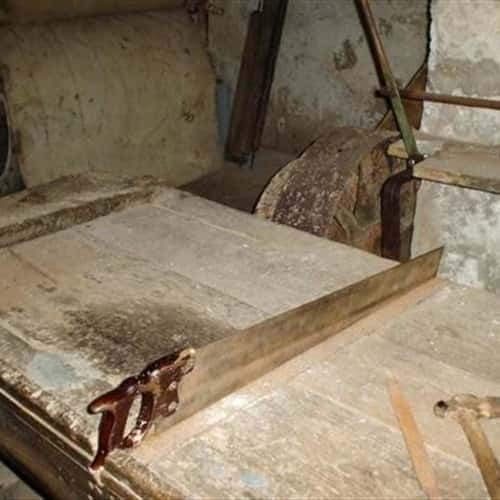 These went ahead to the next process, the "pressatura" where using a large wooden press the remaining water was extracted and the sheets of paper passed on to the "spannituro" for the drying process. 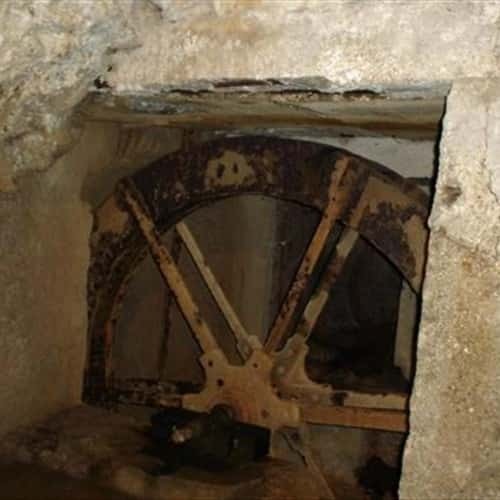 The "spannituro" were big empty rooms with large windows in the highest part of the paper mill, situated over the river where they received the maximum currents of air blowing down the valley. Once dried they passed on to the "dell'allisciaturo", room where they were carefully ironed. At the end of these procedures the sheets of paper were tied into packets ready to be sold. The entire production was carried out by people of various professions, including the young apprentices ; the paper-mill was a large mechanism made up of men and machines under the meticulous scrutiny of the "magister in arte cartarum", the master paper-maker.